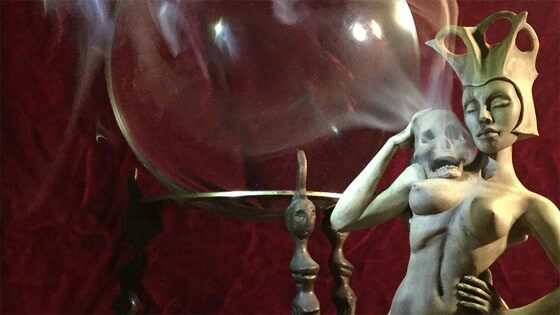 Baby Tattoo launched its first Kickstarter campaign in 2016 and hasn't looked back since. In addition to raising over half a million dollars to fund nine successful projects, Kickstarter has been an exciting way to bring our artists together with their fans in a truly unique way. A lavishly produced re-release of Brandi Milne's sold-out children's book. Moonlighting artists from the Story & Visual Development Departments at a major animation studio present a graphic novel anthology. The start of a holiday tradition with a limited time Mermaid Ornament designed by Brian Kesinger and sculpted by Thomas Kuntz. Explore human imagination through an art book by legendary theme park designer Rolly Crump as part of Kickstarter's Projects of Earth. A set of two sketchbooks by Brian Kesinger, "Penned Dragons" and "Inked Tails". Acclaimed photographic liar Jeffery Scott (1019) presents an art book 10 years in the making. A dark chronicle of human re-engineering. Match 8 octopus cards in 8 seconds! A simple game of memory, luck and whimsical Octo-Victorian art. A book of painting by acclaimed fantasy artist Michael Whelan. 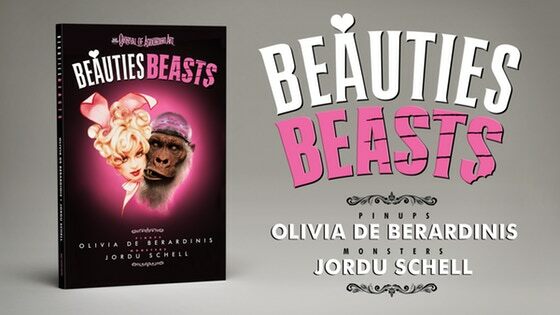 Lovely Ladies and Menacing Monsters from pinup legend Olivia De Berardinis and creature creator Jordu Schell. Foreword by Elvira.